I took all of those from this forum thread. It was started by a player but Mike Silbowitz, ArenaNet's Head of Global Marketing, jumped in fast to quell the inevitable suspicions over authenticity and steer the discussion in a positive direction. "People who are not currently familiar with GW2"
Why don't you just show gameplay footage? "CG grabs the eye of that "outside" audience more effectively"
Are these leftovers from the cancelled mobile project? 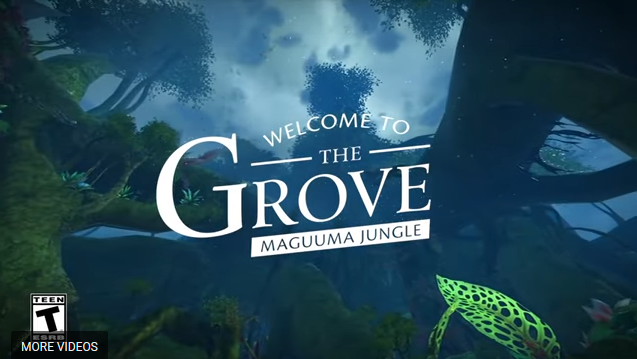 "All these videos were made specifically for GW2 with the specific intention of bringing new players into our vibrant community". All of which is perfectly fine, as far as it goes. And it's certainly nice to see some money being spent on advertising the game. It also makes for an intriguing contrast with Holly Longdale's recently-stated position that EverQuest and EverQuest II can get by very nicely with the audiences they already have, thank you very much. Not that ANet is ignoring the legacy market. After all, as the F2P video boasts, there are eleven million current and former GW2 players out there, somewhere. And there's already a campaign under way to bring them back into the fold. Without doubt, this new lust for fresh or former blood for GW2 comes off the back of the recent retrenchment, a development that must have placed ArenaNet in a precarious position. All the proposed projects they spent the last five years working on have been summarily cancelled. They appear to have no prospects of expanding, either via new platforms (Console or Mobile) or new products. Their fortunes now rest on a single property, the Guild Wars franchise, currently represented by one very old game and an aging sequel. What's more, they have precious little to sell off the back of either of them. Guild Wars is officially in maintenance mode, while GW2 hasn't had an expansion since 2016, won't get a new one this year and may never get one. Plus, they already played the F2P Conversion card several years back. It's the very definition of putting all your eggs in the one basket. Still, you work with what you have. In two decades of MMO gaming I don't think I can recall a single instance of a developer launching a major promotional campaign for an MMO that had nothing new to sell and no new payment model to promote but that doesn't mean it's not worth trying. There are, after all, orders of magnitude more potential customers out there who haven't tried the game yet than those that have. It's just a question of getting them to take notice. And as I said about Rift, if Trion had been able to launch that game "as is" in 2019 it might well have been quite a success. It doesn't feel "old" and neither does GW2. For most MMOs made in the last decade, aging technology, mechanics or graphics aren't really what's holding them back. Getting anyone to look at them in the first place: that's the problem. It's going to be very interesting to see how this all plays out, although how we'll be able to assess the success, if any, of these campaigns is hard to see. I very much doubt we'll get any announcements boasting how many digital boxes were sold as a result, let alone any hard numbers on how many people are actually playing. As the old saw goes, though, all publicity is good publicity. For the health of the hobby, let's hope it works. I had to cringe at the heist and band ones. It reminded me of that ill-fated The Secret World-oh wait-GW2?-WTF? ad. Completely genre deaf. The tourism ones actually aren't that bad, beyond the the horrific voice acting that sounded like the narrators were either bored beyond belief or given three dozen paragraphs to read in 30 seconds. Dare I say it, but the Play For Free one is actually... good. Or at least captures the themes of GW2 succinctly. Help others, stand heroically against big bad foes, and when you think you're alone against the dark, you're not, your friends, allies and people you helped are beside you. But you know what's even better ad-wise? Getting a flying dragon mount that wall latches and breathes fire. Now that veers more into proper hype territory. See this is (maybe) why they have such a broad spectrum. I liked the heist one. Though I guess what I really mean is, I find the heist one kind of amusing. It didn't make me want to log into GW2. I just found it funny. As you say, tho, the Free-To-Play one kind of did tug at a "come play" heart string. The voice acting is really terrible. The Norn and the Human sound bored out of their minds and the Charr is incomprehensible. I quite like the Heist one as a standalone joke but it does absolutely nothing to promote the game. Still, it is quite uplifting and it has a big dragon in it. I saw the Skyscale trailer after I did the post. Made me about ready to quit for good. GW2 is basically becoming a platform for selling mounts and mount skins now. This is not going to stop because it's clearly a big moneymaker for them but it's destroying the game I enjoyed. For a long time I wondered how I'd transition from GW2 to whatever MMORPG I play next but they're making it really easy for me now. I'm already playing far more EQ2 than GW2 and I can't wait for Pantheon, CU or AoC to hit Early Access.